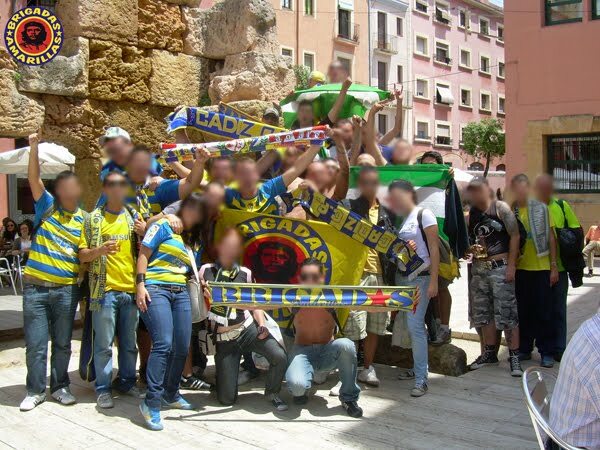 The story of Brigadas Amarillas starts at the early years of the 80’s with a young antifascist group of Cádiz’s fans who decided in 1980 to create an animation group like the English hooligans or Italian ultras. 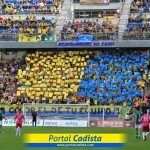 The first name for this group was “Frente Cádiz” and they were in the sector called Preferencia in the stadium. They started to support the team in a way never seen before in the city (pyros, flags, scarves…). 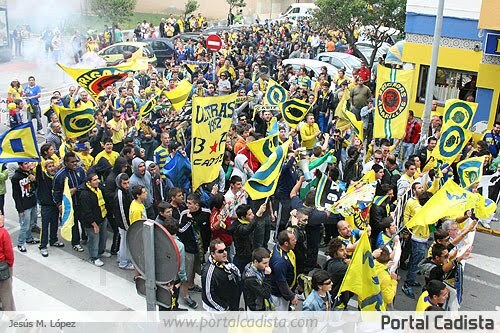 The next year they change the name and like “Barra Ultra” make their first travels as a group. 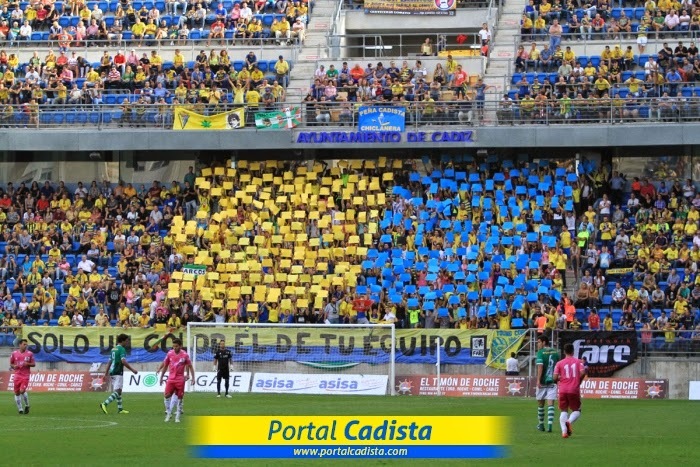 In 1982 finally the name changes and appears in the stadium the “Brigadas Amarillas” banner in Fondo Sur sector (a cheaper sector behind the goal). This banner appears without a red star because the woman who made it thought that was connected with GRAPO. The name is taken after “Brigate Gialloblu” from Verona but, as the translation was too much long, it was called only “Amarillas” (“Yellow”, without the other colour’s team). Also in these years the group selected as main image the face of Che Guevara because all of its members had a worker and left-wing ideas, a fact that continues nowadays. 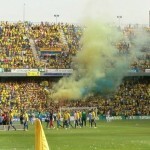 In those first years the team plays in first division and Brigadas makes a lot of travels, mostly in Andalusia, and appear the first riots with other rivals groups (like Seville or Malaga). Some sections are created in those years like “Killer Boys” or “Curva Sur”. Also this was the time we first made some supporters’ material like scarves, shirts and I.D. cards. 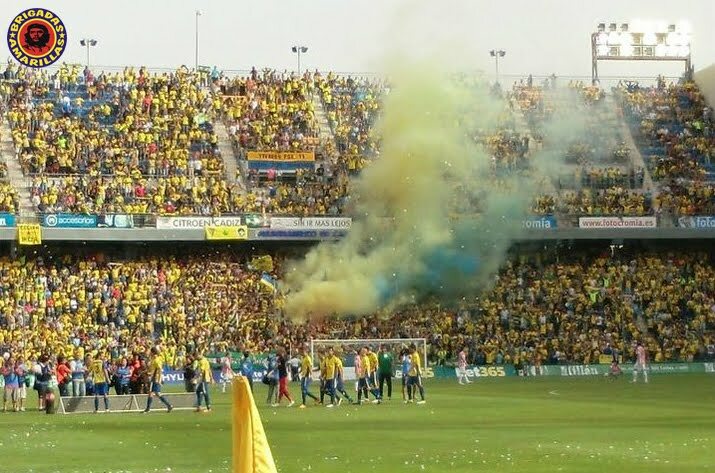 Until year 1987 the group didn’t stop growing, the travels are massive and the presence in the city is notorious, not only because of the football matches, but also with demonstrations against the unemployment in the Cadiz’s Bay, in favour of industry and public education. While the group grows, the riots do as well, and this is when the initial problems start with private security at the stadium, fines, arrests and fights. It was the first big crisis for Brigadas which saw it’s number of members reduced to 20-30 people. The 90’s are years full of contrast. 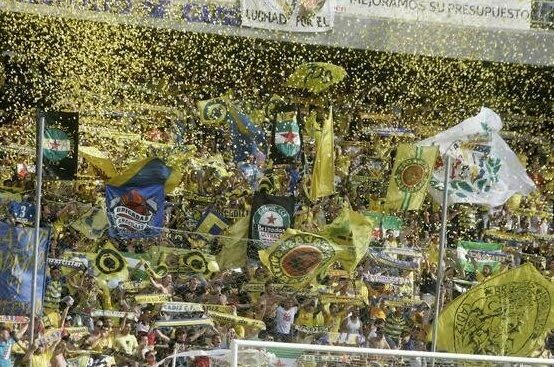 Brigadas«Amarillas has grown again because of new young people but the team fell down from first division to second “B” (third division of Spanish League) in only three years. These are years of struglle to keep the club alive. 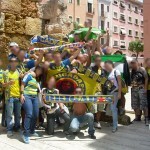 But something really important happened in 90’s: in Vallecas (Madrid) a new ultras group was created, the Bukaneros of Rayo Vallecano, and members of Brigadas started to send letters and keep contact with them. 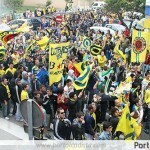 It was the birth of our brotherhood that, nowadays, includes not only both groups, but both teams and supporters. 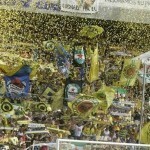 After 9 years in 2B league, in 2003 the team returned to 2nd division and Brigadas«Amarillas was bigger than ever. In these years we made great actions like fill the stadium sector completely with pyro while the lights of the stadium were off. 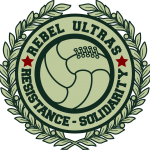 The last years, the club has not had stability, Brigadas«Amarillas has matured as a group and, with the new technologies and possibilities has participated in global actions against racism, homophobia and discrimination in the stadium, the streets and in various conferences. 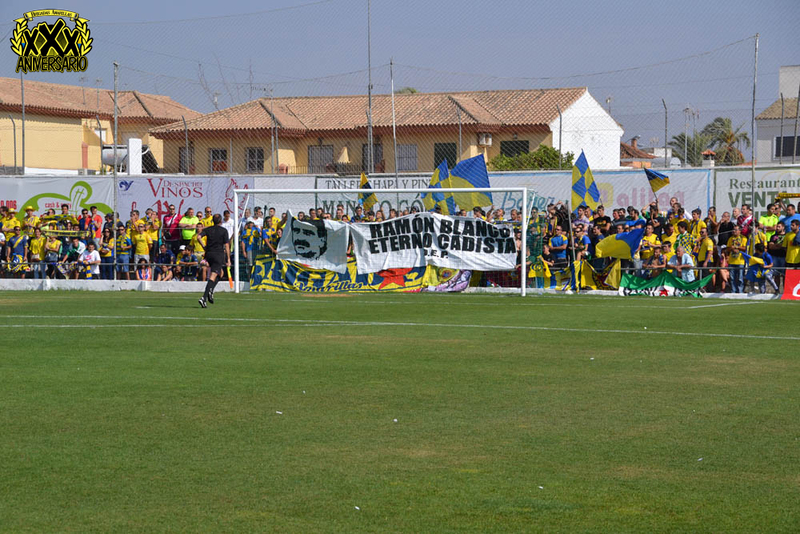 Also we have been celebrating events such the centenary of the club, the 30 years of Brigadas«Amarillas or the 20 years of brotherhood with Bukaneros.